Ideal for yourself or a loved one, the NUXE Beauty Countdown Gift Set contains a coveted selection of face and body products housed in a decorative box. From multi-purpose dry oil to a cleansing gel and lip balm, there's a treat behind each door to countdown the festive season in style. Fortified with seven precious plant oils (including Camellia, Sweet Almond, Argan and Tsubaki), the dry oil cocoons skin to protect against environmental aggressors and deliver anti-ageing properties. Ideal for face, body and hair. 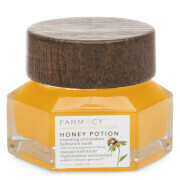 A fast-absorbing, non-greasy cream enriched with Sunflower, Honey and precious oils to repair and nourish skin. Leaves hard-working feeling soft, smooth and comfortable without greasy residue. Infused with precious Blue Everlasting Flower Extract, rich in antioxidants, the weightless cream absorbs quickly into skin to protect skin from environmental aggressors and promote a radiant, rejuvenated complexion. Harnessing the powers of Passion Flower and Hyaluronic Acid, the radiance-renewing formula provides anti-ageing properties, whilst restoring luminosity and inspiring a youthful glow. 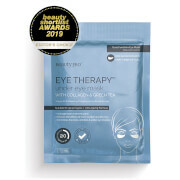 An innovative anti-ageing treatment that utilises 10 patents to improve skin tone and texture throughout the night. 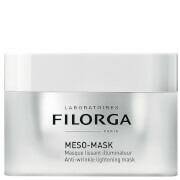 Delivers firming and brightening benefits as it smoothens the appearance of fine lines and wrinkles. Synergising Honey and Sunflower, the gentle facial cleanser expertly dissolves dirt, makeup and impurities without over-drying or uncomfortable tightness. Suitable for dry and sensitive skin. A luxurious, delicately fragranced oil with the brand's signature scent of Orange Blossom, Magnolia and Vanilla. Sweet Almond Oil gently cleanses and nourishes, whilst delivering a soft, satin finish. An oriental scent with top notes of Orange Blossom, Magnolia and Vanilla. An enigmatic perfume that is both heady and warm, perfect for both day and night. An ultra-nourishing formula infused with Honey, Shea Butter and Sweet Almond Oil to restore soft, smooth and comfortable lips.